You are here: Home › Blog › Kaizen › What is Kaizen ? Productivity is a primary concern of any company, regardless of industry. Methods are in place to handle processes and specific tasks in an organized way, and most of these are in line with the principle of Kaizen. 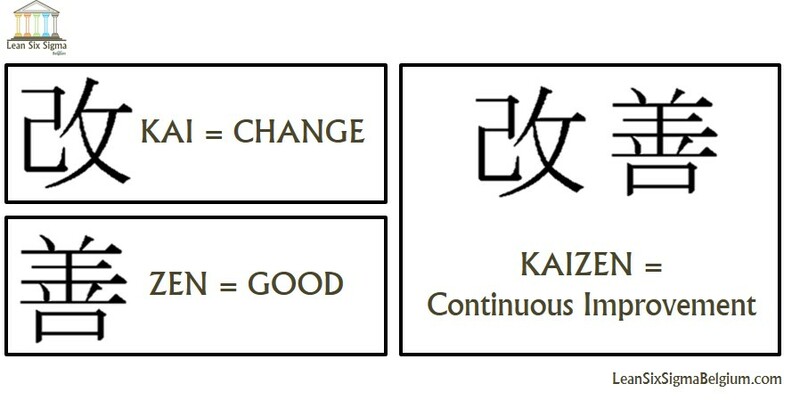 Kaizen is a widely recognized Japanese work philosophy that roughly means “good change or change for better”. It underlines the importance of continuous efforts for improvement in any workplace or employment position. In simple terms, each person in every stage of an organization should continually improve all existing processes for the betterment of the company as a whole. The Kaizen philosophy was first made known when Japanese enterprises post World War II swore to the idea that sticking to the same process of doing things over and over again is bad for their growth. That is, especially when more practical and efficient options are available, and these would make them even more marketable. Efforts have been documented showing that they intelligently and diligently streamlined organizational processes and practices while also leveraging on their products and their employees. Standardization. With Kaizen as guiding principle, companies should come up with a standard process for recurring and organized activities. These standard operating procedures will be the basis for implementation to ensure that desired outputs are met and succeeding runs yield the same result, if not better. Measurement. Companies are encouraged to test the effectiveness and efficiency of standard processes using measurable data. Examples of these are the number of employees involved, completion time and hours spent, among others. Doing this will help the organization determine the strengths and weaknesses of such processes and how to improve them. Comparison. Since the end goal of any productivity method is to get desired results, it is best to ensure that proposed measurements address the overall objectives. It should be aimed at correcting process flaws, reducing error rate and ultimately cutting down on implementation time. Innovation. The mindset of a productive company should be to look for fresh and more efficient ways to undertake work. It does not necessarily have to be to get better results, but more of contributing to the ease of implementation. How continuous improvement or Kaizen can affects a business? The good thing about adopting Kaizen is that it is more of a mind state than an actual procedure. It does not involve tools, applications or planners to get things right, but it largely influences a company’s general approach and attitude towards work. Moreover, it does not just stop as a corporate philosophy. Employees can also adopt it on a personal level to help them focus on making continuous improvement and processes more efficient to address life or tasks at hand. For companies, it is best to focus on the work and life balance of employees to ensure that they do not feel like dedicating their whole lives to their jobs. A good example is when Google decided to encourage creativity in the workplace through an office overhaul and by implementing passion projects to beef up the productivity of its employees. An approach like this can help workers discover better ways to focus on their jobs and collectively improve standard practices, thereby increasing productivity as a result. 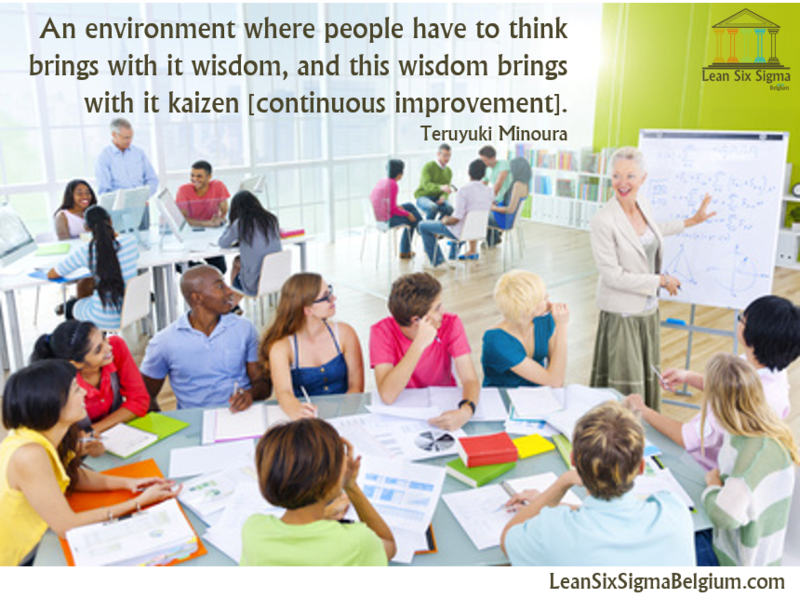 For employees, Kaizen can help them examine their style of work, and initiate ways to better improve it. Co-workers are encouraged to contribute to the whole process by offering advice, insights and constructive comments on each other’s outputs. It is also a big factor to be more open to change so they do not miss opportunities to do things better in the workplace. How to Plan Your Own Kaizen Event?